I have Spinal Stenosis and Degenerative Disc disease, so it's music to my ears when Dr. Malhotra says, "we have options!" The last lower back procedure he gave me was 2 1/2 years ago. It was a miracle, that lasted so long, which is why I thought I needed the same procedure. 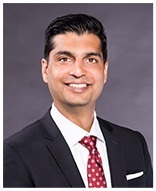 Dr. Malhotra listened to me describe my current pain and felt I needed a different type of procedure. I trust him and said "ok." I had that injection last week. It worked, and I'm walking without pain again! This doctor is truly exceptional! Dr. Malhotra is a wonderful doctor. He listens to you and takes time to answer all your questions. He helped me with my severe back and leg pain. I feel like a new person. Dr. Malhotra is amazing. Since I have been back in the Chicagoland area, I see Dr. Malhorta for my chronic pain needs. He asks the right questions to get to the core of the problem, rather then just write prescriptions. Dr. Malhorta has educated me in regards to my chronic pain and suggests different treatments methods. If you need to be referred to a surgeon, he does his research and suggests the best physicians for you to consult. Every doctor before him has told me, I was going to be on pain pills for the rest of my life, so i should get used to it. I still have my bad days when those occur I call the office and am attended to right away either from the staff or Dr. Malhorta himself . Dr. Malhorta is personable, friendly and patient orientated. I highly recommend him for anyone that chronic pain. "Dr. Malhotra listens to my concerns and helps me understand my conditions. He has helped me through 2 surgeries and I will give his name to anyone looking for pain management. He does injections better than my prior doctor!" 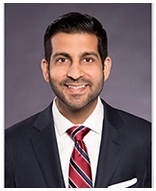 "Dr. Malhotra was very professional, informative and compassionate."